We all know that good audio narration goes a long way in enhancing the efficacy of an e-learning course. It complements onscreen content and reduces cognitive load on the learner. When an online course is translated, it is important to ensure that the narration in the target language is as effective as in the source. 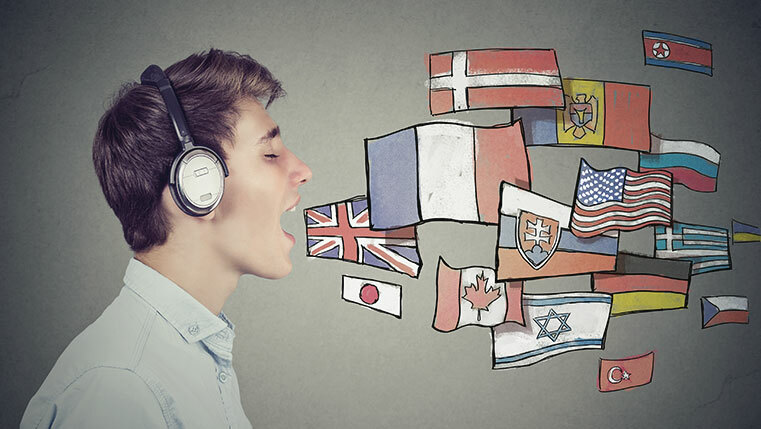 Today, let us look at three common mistakes in translating an e-learning audio script. Avoiding these issues is one of the key aspects of ensuring effective narration in the target language. Many a time, statements in the written form are easy to understand. However, they can create issues when narrated. Consider the following example. The boiling point of water is 100oC. Now, the ‘C’ in 100oC could cause problems. Should the narrator read it as Celsius or Centigrade? The developers of the e-learning course in the source language must indicate how the abbreviation is to be read. This allows the translator to read out the word as desired in the target language. The area of the Caspian Sea is 371×103xkm2. The Caspian Sea covers an area of 371 thousand square kilometers. Correct pronunciation plays a key role in enhancing the quality of audio narration. So, the designers of online courses must provide clarity on how to pronounce words in the translated audio script. For instance, the German word for “wind turbine” is Windkraftanlage. Narrators may have trouble pronouncing this word (remember that many narrators don’t have a background in science and technology). So, it is important to instruct the narrator how to pronounce the word. This can be done by providing pronunciation notes as follows. It is better to use the folk phonetic script because the narrator may not be familiar with the phonetic alphabet. It’s a good idea to provide a list of frequently occurring, “difficult-to-pronounce” words to the translator. Parenthesis is primarily used in the written form and can cause issues when reading. For instance, narrators could face issues while reading the sentence given below. The device is called Electronic Delay Storage Automatic Computer (EDSAC). The sentence can be re-written in narrator-friendly ways as follows. The device is called Electronic Delay Storage Automatic Computer, or EDSAC. The device is known as EDSAC, for Electronic Delay Storage Automatic Computer. A well-translated audio script goes a long way in producing a high quality online course narration. Hope you liked this post. How do you render the content of your e-learning audio scripts in target languages? We’d love to know.